Back Plate, Star Screwdriver, A Packet of Bolt & Diod. 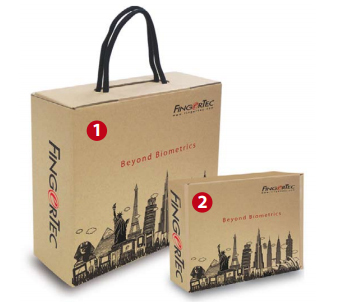 AC900 gives you an option of identity verification through finger print scanning or password. On top of that, fingerprint verification is done within a second! Have a different existing system in your organization? No problem, AC900’s user data can be exported to several formats for you to integrate with your current system. Any more user-friendly, and AC900 will have to speak to you. 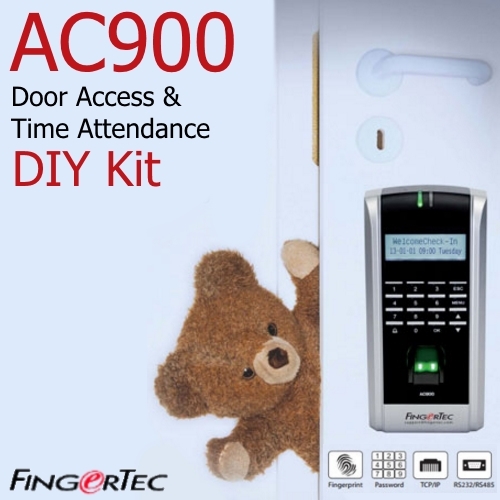 AC900 has a simple-to-use user interface and keypad. Administration is easy with the Ingress software application. Ingress allows you to remotely manage door activity of all con- nected terminals, while containing time attendance functions for attendance monitoring. AC900 uses minutiae matching technology that ensures only enrolled users are granted access. The weakness with the clock-in card system is that ‘buddy punching’ can occur where one employee can clock in the time for another employee if any of them are late. Eliminate this occurrence by using the unique perindividual fingerprint as a clock-in card! DISPLAY LANGUAGE (TERMINAL) English (Standard), Arabic, Malay, Indonesian, Chinese (Traditional), Chinese (Simplified), Thai, Vietnamese, Korean, Spanish, Portuguese (Portugal), Portuguese (Brazil), Polish, French, Russian, German, Italian, Turkish, Persian, Slovak, Greek, Dutch, Hebrew, Romanian, Bulgarian. Other languages are available upon request.